You will love these NO PREP worksheets you can print in color or black and white for an easy, FUN math activity for young kids. 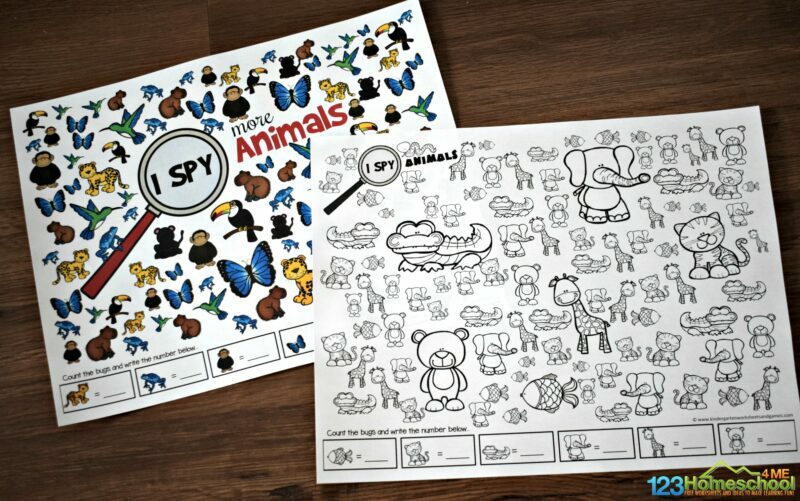 In this ANIMALS I Spy Games you will find several options in both color and black & white. 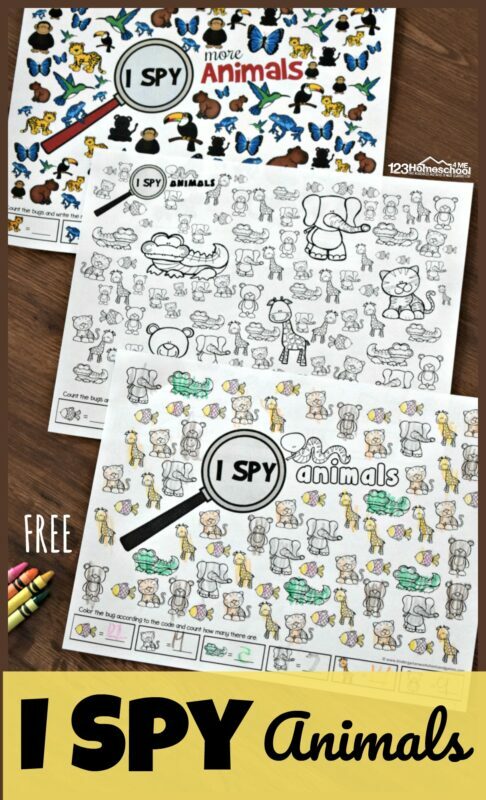 There are two black and white I Spy with My little eye animals worksheets. 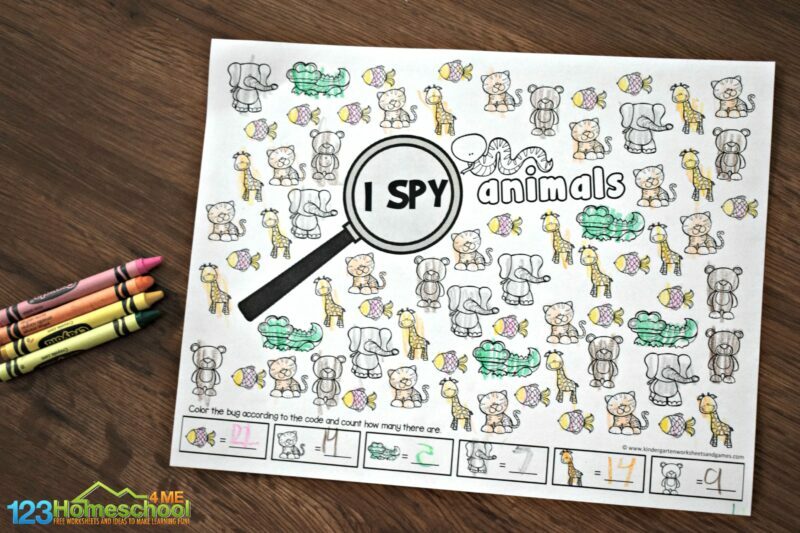 Kids can color all of a certain animal a specific color, count the animals, and then write the number on the bottom of the page. This is such a fun counting activity for kindergarten math. 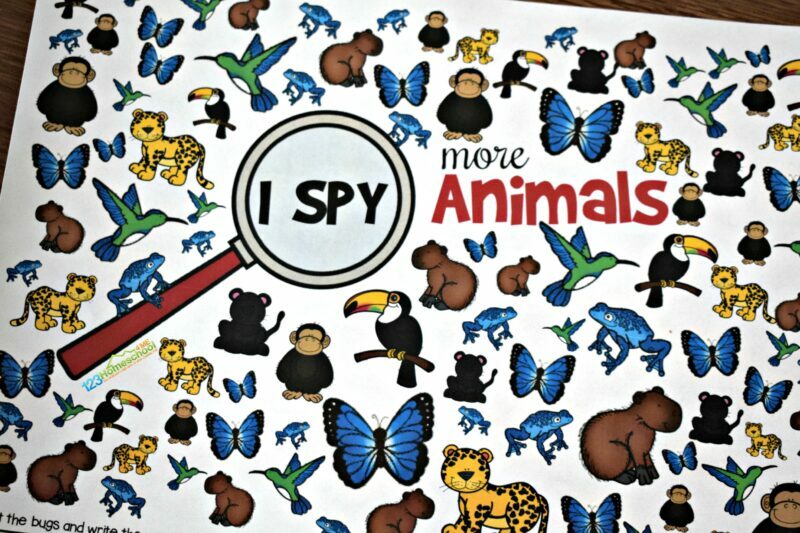 Or, if you prefer, there is a beautiful I Spy Animals Printables in color! I suggest you laminate the worksheet for repeated use. Students can count or circle all of a certain animal and then write the number they counted on the bottom of the worksheet. This is a great math activity that focuses on counting and discrimination for toddler, preschool, and kindergarten age kids.